Thank you for your support this past twenty five years. 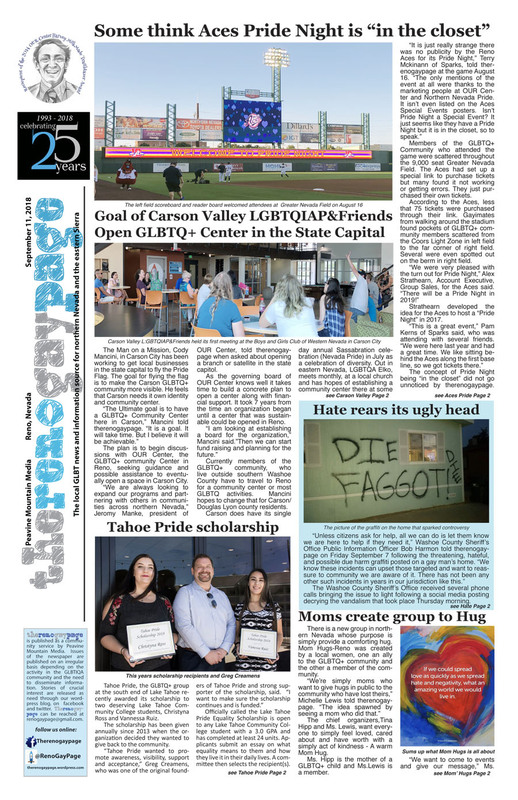 September marks the end of 25 years and thousands of stories about the GLBTQ+ community in northern Nevada and the eastern Sierra. Year 26 begins with the October issue. As a one man operation this is done to inform, build and strengthen our community – simply as a community service.